A well-tended 400 square foot garden will feed a family of four. The trick is planning, planting, tending, and harvesting that garden right. 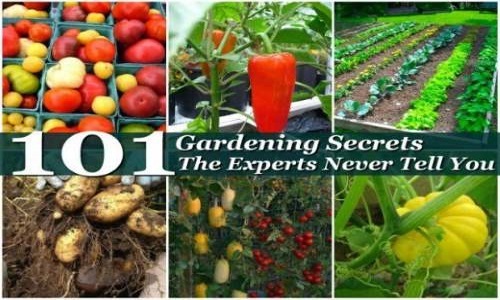 Below, you’ll find everything you need to know to maximize your garden’s production, everything the experts don’t tell you! I like to use natural topsoil to start my garden seedlings in. I usually don’t use potting soil because it generally does not produce the results I want. The quickest and best place to dry herbs is on a few sheets of newspaper on the back seat of your car. The herbs will dry out quickly, usually in 1 – 2 days. I am interested in healthy life and preparing to go into Organic farming and would like to learn and recieve news letters on updates and information that would be beneficial to my Organic farming practices and may also send questions on issues I may may be looking for clarifications.